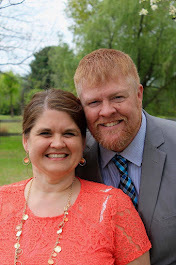 A blog of Pastor Kris Freeman from Revolution Church in White House, TN. This series, Through the Eyes of a Lion, is based upon a book by Levi Lusko of the same name. It is recommended you order the book online or by electronic device to follow the series through the month of October at Revolution Church. This series is used by permission. Where there is no vision, the people perish: but he that keepeth the law, happy is he. Where there is no revelation, the people cast off restraint; But happy is he who keeps the law. When people do not accept divine guidance, they run wild. But whoever obeys the law is joyful. 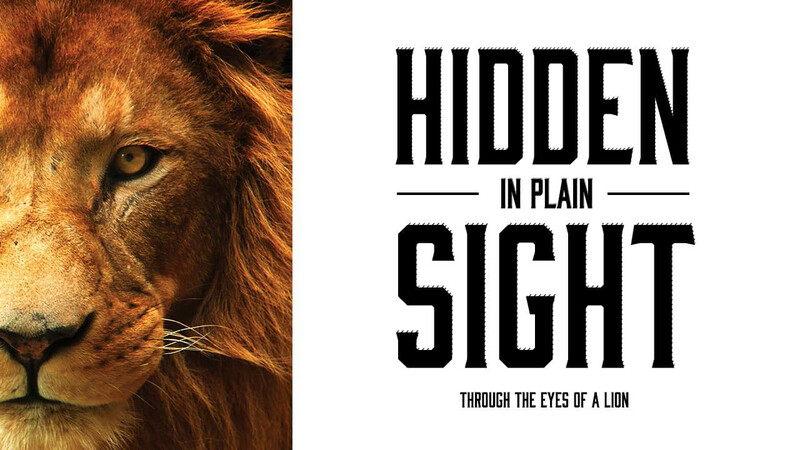 The lion has the best VISION of any hunting animal on earth. Like the eagle, it’s ability to see distance and detail is STRATEGIC. In your life, vision is a DIVINE strategy. As the NKJV says, it’s God’s REVELATION of his will and his Word to you. What does good vision bring to our perspective? 1. Vision teaches us to see past the CURRENT circumstance. 2. Vision teaches us to think ahead of our PROBLEM and see our POTENTIAL. 3. Vision teaches us the END of one thing can be the BEGINNING of something bigger. Four questions to ask about vision in your spiritual life. Would you rather stay the same as your suffering, or get better and improve? Do you believe God can use your worst circumstance for a greater purpose? Who do you admire that overcame a terrible trial to use it for God’s glory? Write their name down here! ________________________________________ . What Bible character did the same and how does that story speak to you? For I know the plans I have for you,” says the Lord. “They are plans for good and not for disaster, to give you a future and a hope. Don’t give up, for there is much the Lord has to show you, that you have not yet seen! 30 When he was at the table with them, he took bread, gave thanks, broke it and began to give it to them. 31 Then their eyes were opened and they recognized him, and he disappeared from their sight. 32 They asked each other, “Were not our hearts burning within us while he talked with us on the road and opened the Scriptures to us?” 33 They got up and returned at once to Jerusalem. There they found the Eleven and those with them, assembled together 34 and saying, “It is true! The Lord has risen and has appeared to Simon.” 35 Then the two told what had happened on the way, and how Jesus was recognized by them when he broke the bread. One will attack from the front and roar, while the others will flank and hide and attack the prey as it attempts to run away. It’s a TRAP. The counterintuitive thing would be to run TOWARD the roar. These two followers of Jesus go from frightened and despondent and scared to running head on into their mission because their eyes were opened! But once they saw Jesus and recognized him, they returned seven miles back to Jerusalem in the DARK. They ran toward the roar! When your eyes are opened, you will have courage to do what you think can’t be done. Often the place we need to go and the thing we need to do is exactly the opposite of what fear tricks us to believe is impossible. We tend to BOLT when we are frightened and run AWAY from danger. Victory comes from facing fears and running toward what we once were frightened of. Fear is a part of the faith - it’s trusting God for what we cannot overcome ourselves. Sometimes running toward the roar means REMAINING when we feel like bolting. Faith doesn’t always call us to GO, sometimes faith calls us to STAY. Return home and tell how much God has done for you. So the man went away and told all over town how much Jesus had done for him. One of the hardest things about moving into the future is the regret of things you wish you could change about your PAST. Things you feel in regret: immobilization, paralysis, powerless. But God is not SCARED of what scares you! For if our heart condemns us, God is greater than our heart, and knows all things. I must work the works of Him who sent Me while it is day; the night is coming when no one can work. We have eternity to celebrate the works of Christ, but only a few short hours of light to win them. Life will soon past, and what’s done for Christ (or not) will LAST forever. 19 This hope we have as an anchor of the soul, both sure and steadfast. Because a boat that is properly anchored will still face waves and wind, it just won’t be MOVED. Because of Jesus, we have hope. And because of hope, even in the midst of the worst storms of this life, we are anchored. - The author of Hebrews doesn’t just tell us what we have, but rather he tells us what we are anchored to. the harbor that was difficult to navigate. • This is what JESUS did for us! As we make our way through life, we are slowly being WINCHED in closer to shore. There is no such thing as a WIRELESS anchor. So what is the rope? 25 These things I have spoken to you while being present with you. 26 But the helper, the Holy Spirit, whom the Father will send in my name, He will teach you all things, and bring to your remembrance all things that I said to you. 27 Peace I leave with you, My peace I give to you; not as the world gives do I give to you. Let not your heart be troubled, neither let it be afraid. Nevertheless, I tell you the truth. It is to your advantage that I go away; for if I do not go away, the Helper will not come to you; but if I depart, I will send him to you. 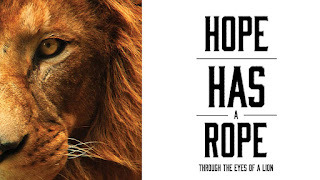 The Holy Spirit is the ROPE connecting us to our HOPE. That means it’s up to us how loose or tight the CONNECTION will be. Having too much slack in the line can have DEVASTATING results. Keep close and keep connected. 1. Heaven is Nearer than it SEEMS. Jesus said in Mark 1:15: The kingdom of God is near. Remember the rear-view phrase: objects in mirror are CLOSER than they appear. The more we are filled with the Spirit, the closer the reflection of Jesus will be in our lives. 2. Illuminate Your Heart with the TRUTH. tempted. Belief is the REMEDY to losing heart! We must be intentional to comfort ourselves with the presence and promise of the resurrection. 3. 3. Assemble with God’s PEOPLE. Lions are the only social cat. Their strength comes from the “pride” (the group). If you mess with one, you have to take on them all. There is no greater way to reel the anchor in than to do it together. No matter how hard it gets, no matter how bad it hurts, hold onto the rope. It can hurt so bad - but don’t think of it in years, think of surviving one minute at a time. One hour at a time. One person at a time. In these moments, the most important thing is to keep the SLACK out of your rope. 18 So we don’t look at the troubles we can see now; rather, we fix our gaze on things that cannot be seen. For the things we see now will soon be gone, but the things we cannot see will last forever. Through suffering, you have to find what you can’t see. 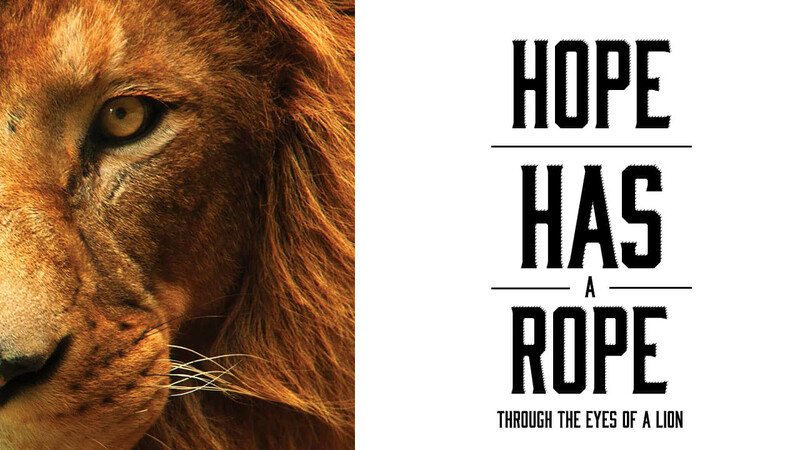 See things through the eyes of the lion. What if you could see things through the eyes of the KING instead of the eyes of the hunted? 6 So humble yourselves under the mighty power of God, and at the right time he will lift you up in honor. 7 Give all your worries and cares to God, for he cares about you. 8 Stay alert! Watch out for your great enemy, the devil. He prowls around like a roaring lion, looking for someone to devour. 9 Stand firm against him, and be strong in your faith. Remember that your family of believers[b] all over the world is going through the same kind of suffering you are. 10 In his kindness God called you to share in his eternal glory by means of Christ Jesus. So after you have suffered a little while, he will restore, support, and strengthen you, and he will place you on a firm foundation. 11 All power to him forever! Amen. Because of the sin of Adam and Eve in the Garden of Eden, our eyes were focused on things we should have never been able to see under the lens of hurt: sin, guilt, nakedness, death. Consequently, we walk about mesmerized by the physical, when God sees our suffering through spiritual vision and eternal eyes. How many of you have seen the movie The Avengers, when in the discussion between Loki and Thor, it is said “you are burdened with glorious purpose.” Faith is God’s burdening of glorious purpose upon your life, but what happens when you lose sight of what you can’t see? Lions are far-sighted (long-sighted). They see far away, super well. 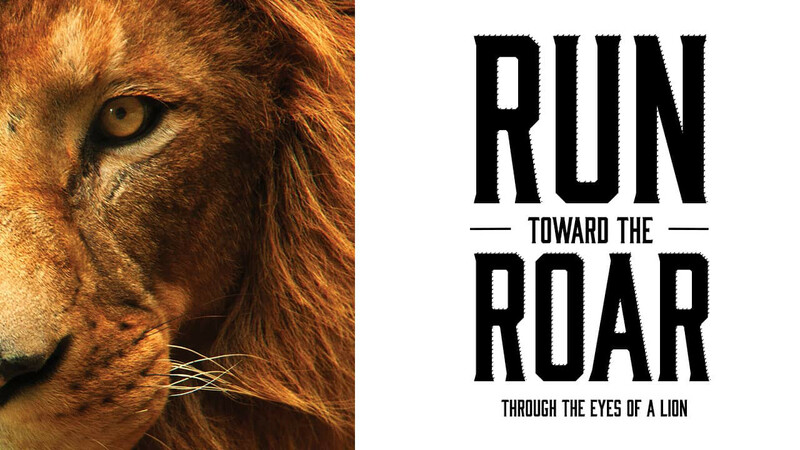 We constantly focus on the things right in front of us, but the lion relies upon vision and strategy. Interestingly enough, for us though the battle of our EYES starts in our EARS. If we don’t hear what he SAYS, we won’t see what he SEES. When you let God give you vision that is SUPER-NATURAL, you will be able to receive strength that is SUPER-HUMAN. LENS - I have a closing story for you. It’s in the book, but I want you to listen and not just read the words. When your eyes are opened, you will see everything differently that before. I am the pastor of Revolution Church in White House, TN, and the public address announcer for The Vanderbilt Commodores men's and women's basketball program. 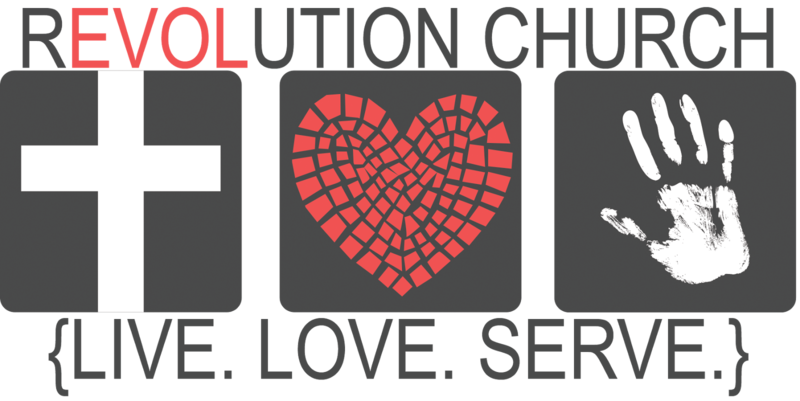 Copyright Revolution Church 2016. Picture Window theme. Powered by Blogger.